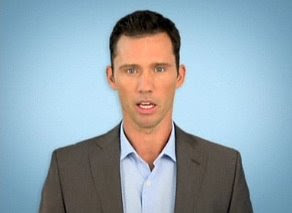 Michael Westen (Jeffrey Donovan) provides informative spy tips on USA's website. USA is rockin' da house with ratings this summer, soaring to the top spot amongst ad-supported cable stations. The Hollywood Reporter credits this success to the Thursday night one-two punch of Burn Notice and Royal Pains, which on July 9 had over 7 million viewers. Those are serious numbers for basic cable fare, and well-deserved. As a reward for keeping USA on the map (and giving parent company NBC something to actually be proud of), Burn Notice and Royal Pains have received renewals for 16 more episodes each. That's a startling fourth season for Burn Notice and a second season for newbie Royal Pains. USA has struck gold with a winning formula, a focus on interesting characters that are big on quirks and charm. You've got USA forerunner Monk, with its OCD germaphobe detective Monk, the PI and fake psychic duo of campy Psych, the double whammy of unorthodox homocide detectives Goran and Nichols on Law & Order: CI (with their droll and long-suffering female partners Eames and Wheeler), and cynical hothead US Marshal Mary Shannon with uber intellectual partner Marshall Mann on In Plain Sight. Royal Pains scores with the charm of Mark Feuerstein and regular players like mature-byeond-his-years Ezra Miller. USA has won with audiences by not taking themselves too seriously, intermingling show characters on their promos, and offering the occasional sly wink to their fans. Recently a USA promo had the Psych characters discussing the show's similarities to new series The Mentalist on CBS, acknowledging the online mini-furor over the latter's alleged ripping off Psych. Viewers feel like their part of a cool clique on USA, and it's been a successful campaign for the network. It also helps that the shows are damn entertaining, and you don't worry as much about them being canceled after three episodes. NBC, take note. Watch Burn Notice and Royal Pains on USA Thursdays, starting at 9/8c.